Home / renewals and cancellations / Cancellations! CBS Says Goodbye To Summer Series Extant Starring Oscar Winner Halle Berry! Cancellations! CBS Says Goodbye To Summer Series Extant Starring Oscar Winner Halle Berry! CBS is saying goodbye to their summer event series Extant. The sophomore series starring Halle Berry has been struggling to find an audience since it’s debut. The first television series that Halle Berry has starred in opened with 9.5 million viewers in season one but gradually dropped to 4.5 million for the season, now series finale for season 2. This is the second summer series CBS has cancelled, Under the Dome was let go after it’s third season although CBS did renew Zoo earlier this week. Renewals! CBS Gives Supergirl A Full Season Order Of 20 Episodes! Renewals! Blindspot Is The First Network Freshman Series To Get A Second Season Renewal! Cancellations! FOX Says Goodbye To The Mick! 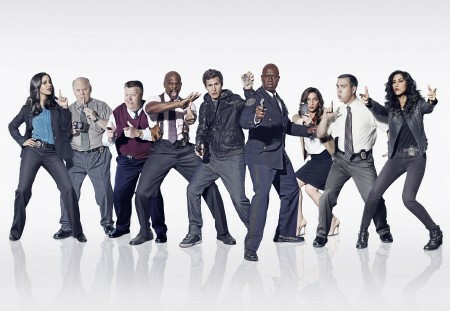 Brooklyn Nine-Nine! The Last Man On Earth! It’s Official! Game Of Thrones Will End After Season Eight!